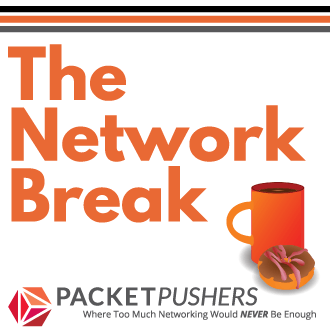 You are here: Home / Blog / Are SDN Controllers a Security Risk ? Are SDN Controllers a Security Risk ? TL:DR – No. When compared to the operation of existing networks, SDN is much more secure. The networks of today are difficult to secure because they are highly distributed and hard to configure. Security is maintained by infrastructure security best practices where the network engineer is required to configure dozens of separate configuration items on each and every devices. SSH keys, console ACLs, management networks, RADIUS/AAA for user authentication are just a few of the dozens of check items. The SDN controller is a single point of control that focuses risk into two to five locations (depending on SDN solution). This dramatically reduces the attack surface, improves auditability, user logging and security oversight. A focused point of risk means that you can concentrate security on that location. Importantly, SDN means that auditing the network is dramatically simplied. Today, configurations are gathered and managed as separate or isolated devices making audit and compliance diffcult in the extreme. Yes, SDN controller are focussed risk points but that is better than the distributed attack surface and complex configuration management of today. Implementing SDN does require design to address new risks like any other new technology. Generally, I take the security policy used to manage firewalls and adapt that for SDN operation. secure backups AND secure recovery process defined. logs are archived, preferably in a log analytics system. Most of IT Security is about comprehending the overall view. 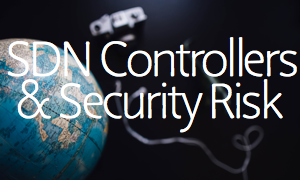 SDN Controller integrity is important but just one element of the overall security posture. I believe that SDN networks are far more secure as a general principle than the “every device is manually configured to be the same” of today. Even as I write that, I laughed out loud. The bigger part of the story here is that IT has already addressed similar security risks with other network management and operations tasks, technologies, and products. SDN is no different. The controller will still be in a data center. The switches, routers, and other network devices should not be accessible to unauthorized people, etc. IOW, do you expose your current NMS to threats? If not, then why would you expose your SDN. The bigger threat, and this is a operational one, is a misbehaving orchestration script doing something wonky. Agree. Control plane security is a lot easier than in-plane security. Like any new technology, I bet we won’t fully understand the security risks of SDN until much later in it’s life. 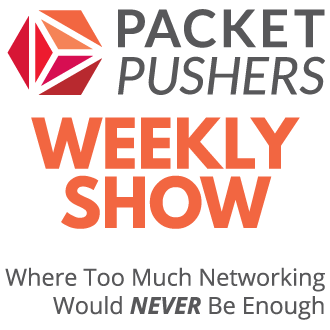 While I agree with your assessment, I think there are a few things that often get overlooked by the SDN marketing machine. I’ve spent a pretty good amount of time in the last year on SDN and SDX security auditing and labbing and have found it left me wanting due to a assumptions being made in order to get products on the market. Making assumptions that the controller will always be in the data center is right at the top. While the 90th percentile may be data center networks, there is the sleeping giant of the carriers. Their networks have a significantly longer refresh cycle and are significantly more distributed, which makes central control far more complicated. Simply slapping things behind a firewall, which tends to be the enterprise way, is short sighted in ways that are all too common. Education is key. I recommend thinking about controllers in a similar way that you would a combination of an internet facing service host, SCADA system and a bastion host. Hardening both on the system level and armoring on the transit path and air gapping as much as possible. In addition, the devices still cannot be considered a hardened system. The control channel needs to be carefully plumbed and the exposure to it from the network side (as opposed to the line side) has to be minimized. I also believe that the security profile is terribly incomplete at this time simply due to the immaturity of some of the protocols involved and the methods of implementation. This only works itself out over time and realistically, by studying the first few major failures and compromises. Your last paragraph is spot on in my opinion, too. Well! agreed with your arguments but that’s a fact we cannot stick with old technologies.